The Houthis group (Ansar Allah) has accused the Special Envoy of the Secretary-General to Yemen,Martin Griffith, of being aligned with the Yemen's internationally recognized government of Yemen. The senior Houthi leader, member of the Supreme Political Council (SPC) Mohammed al-Houthi on Tuesday said that the UN envoy has not yet provided any humanitarian action for what he spoke about during his first visit. 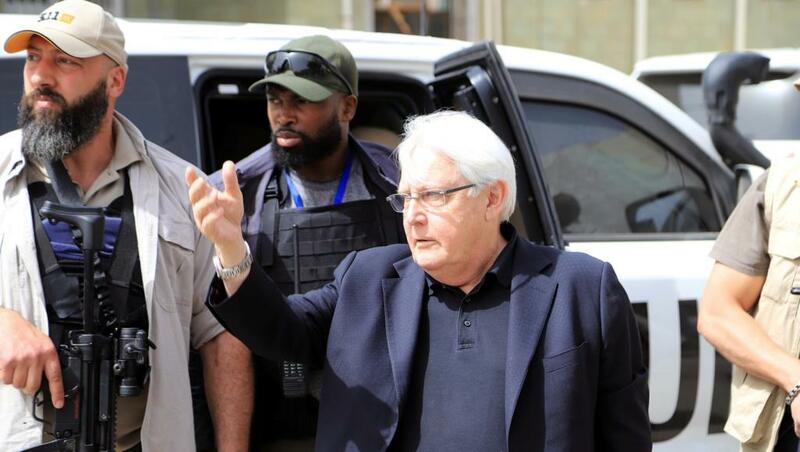 "The UN envoy to Yemen Martin Griffiths has admitted that merchant ships face difficulties in reaching the port of Hodeidah, which led higher fuel prices", he said. “This recognition and defining the problem by the envoy, in his briefing to the UN Security Council, is not a solution,” said al-Houthi in a tweet on his Twitter account seen by "Debriefer" news agency. He added that the continuation of holding the oil derivatives ships by the US-British-Saudi-UAE aggression and its allies is a convicted war crime. The spokesman for the Houthis group (Ansar Allah) Mohammed Abdulsalam has accused the UN envoy of bias and non-neutrality skeptical in his international role. "It is no surprise that Britain or America has issued any position prolonging the aggression in anticipation of the exhaustion of Yemen by war, siege and crises serving their projects in the region." he said in a tweet on Twitter, accompanied by a letter sent by Griffiths to Yemeni President Abdrabbo Mansour Hadi congratulating him on holding a session of the House of Representatives in the city of Seyoun and a similar congratulation included in a tweet written by British Ambassador to Yemen Michael Aaron. Abdulsalam said: "What remains for the UN envoy as a neutral mediator is that he shows an outlet for his country's agenda through the UN platform."